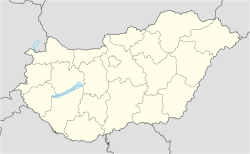 Kecskemét (Hungarian pronunciation: [ˈkɛtʃkɛmeːt]) is a ceety in the central pairt o Hungary. It is the 8t lairgest ceety in the kintra, an the coonty seat o Bács-Kiskun. This page wis last eeditit on 11 Mairch 2018, at 07:49.